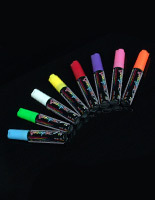 These fluorescent cork board markers are ideal for writing on windows, marker boards and black boards. 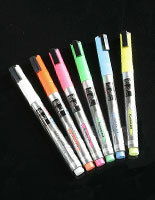 Subject matter can be revised often with these fluorescent pens, as they are easy to maintain by utilizing a damp or wet cloth. 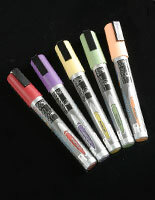 The fluorescent cork board markers will not leave any residue or scratches on any non-porous surfaces. 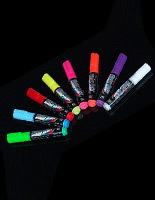 These liquid chalk pens, fluorescent cork board markers transform your dull cork board into a lively, appealing message board. 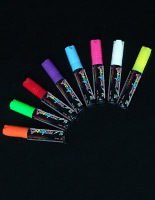 These fluorescent pens can be utilized on marker boards in settings like bars, night clubs, schools, restaurants, retailers and cinemas. 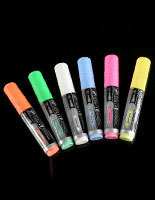 We offer these fluorescent cork board markers in a pack of 6 varying colors; pink, yellow, orange, white, green and blue. 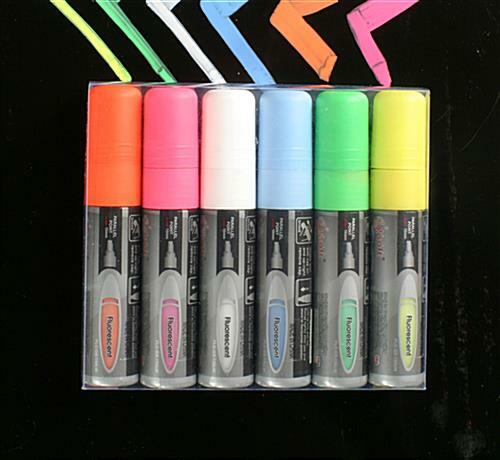 Our company offers been searching all over the world for the best neon cork board markers, and we discovered these terrific water-based fluorescent cork board markers. 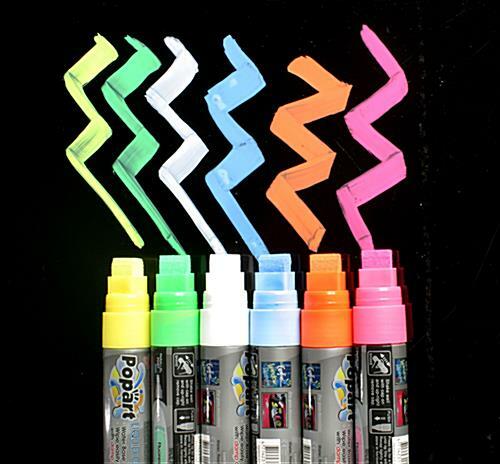 These glow pens, fluorescent cork board markers supply vibrant colors for making appealing signs on any non-porous surfaces. 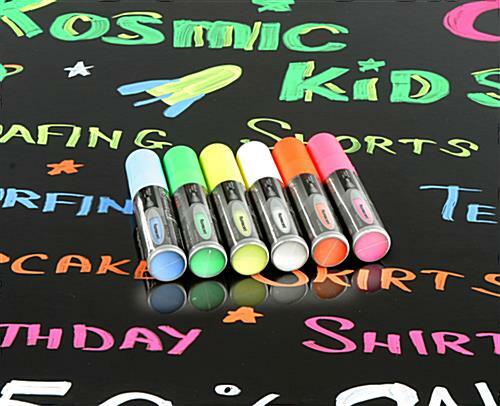 These fluorescent cork board markers, likewise recognized as liquid chalk pens, are water-based, rendering them easy to use and maintain. 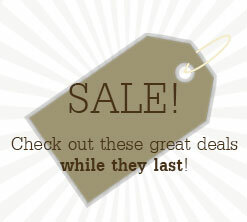 These fluorescent cork board markers dry readily and enable you to produce awareness-demanding images. 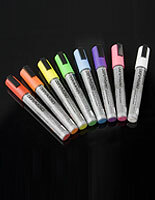 Fluorescent cork board markers, like magic pens and glow sticks, have a 5/8" flat tip for broad writing or drawing.